Here we are on March 14th again! You know what that means, it’s Pi(e) Day! Why is it Pi Day? Well the mathematical constant pi starts with 3.14 which is the equivalent to March 14th. That’s why every year on this date I celebrate by baking up a delicious pie. I wish I made pies more often. 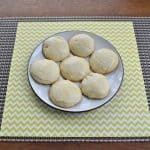 They are always so easy to make and are a favorite with my family. I find that while I can only eat a sliver of cake I can usually have 2 pieces of pie and be happy about it. There’s something about a flaky crust filled with a sweet filling that I just adore. My favorite pies are fruit pies. I love the sweet fruit paired with a buttery and flaky crust. Over the years some of my favorite pies have been a lemon cheesecake pie, a lemon meringue pie, strawberry pie, and Dutch apple pie. I particularly like lemon in my pies so it’s no surprise that this year I made yet another pie with lemon in it. 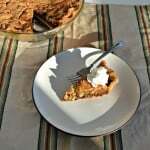 This pie is really easy to make. 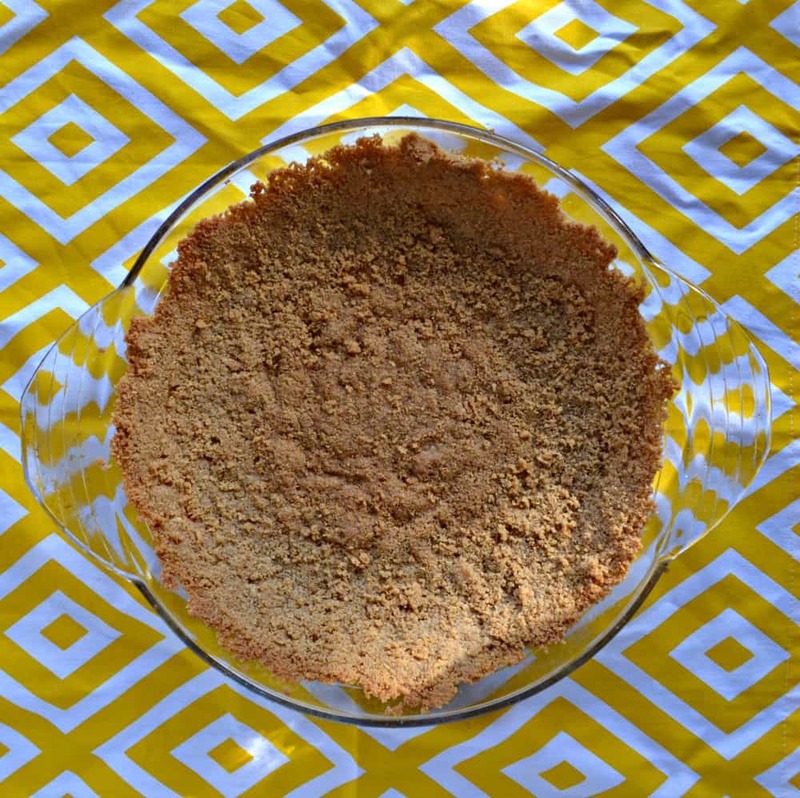 The crust is a graham cracker crust which is one of my favorite homemade pie crusts because of how easy it is to make. 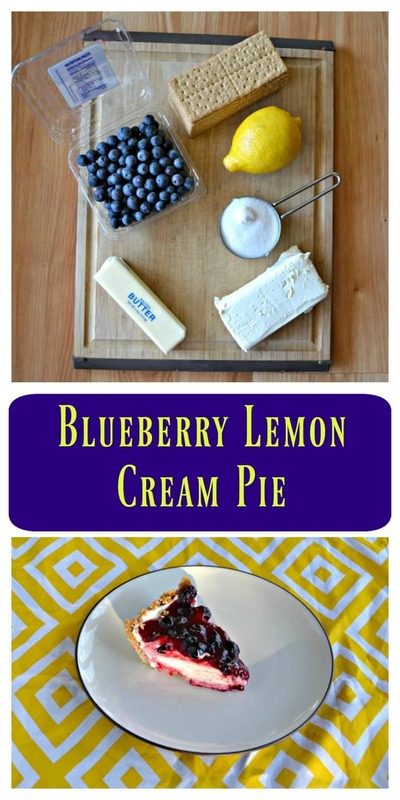 The crust is topped off with a fluffy lemon cream cheese mixture that is bright and delicious. 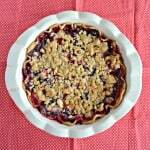 It’s all topped off with a homemade blueberry topping. 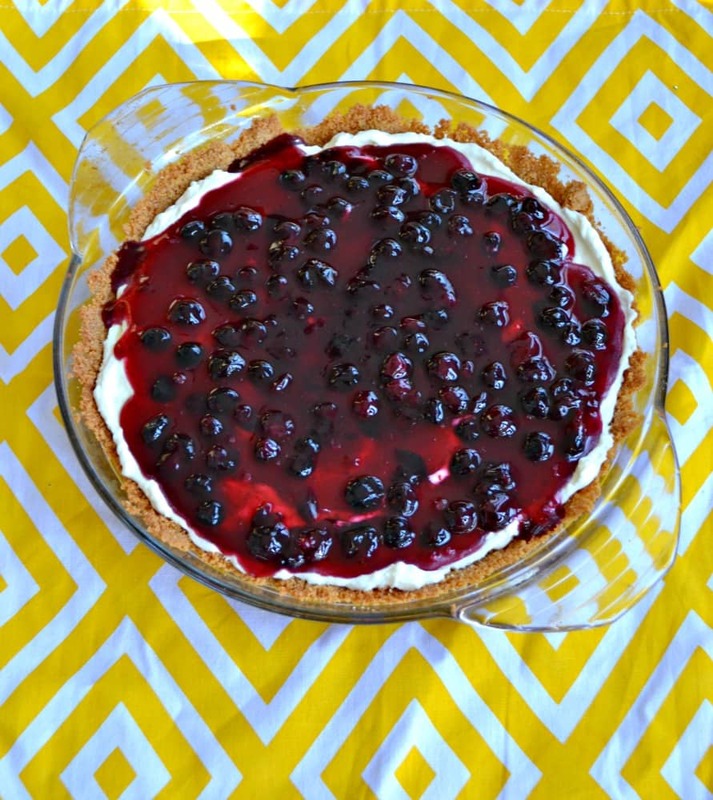 The blueberry topping is a cross between blueberry jam and blueberry pie filling. It’s fairly thick and many of the blueberries are still whole. 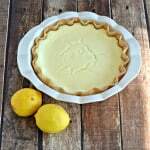 It’s poured over top of the lemon cream filling and then the entire pie is chilled. 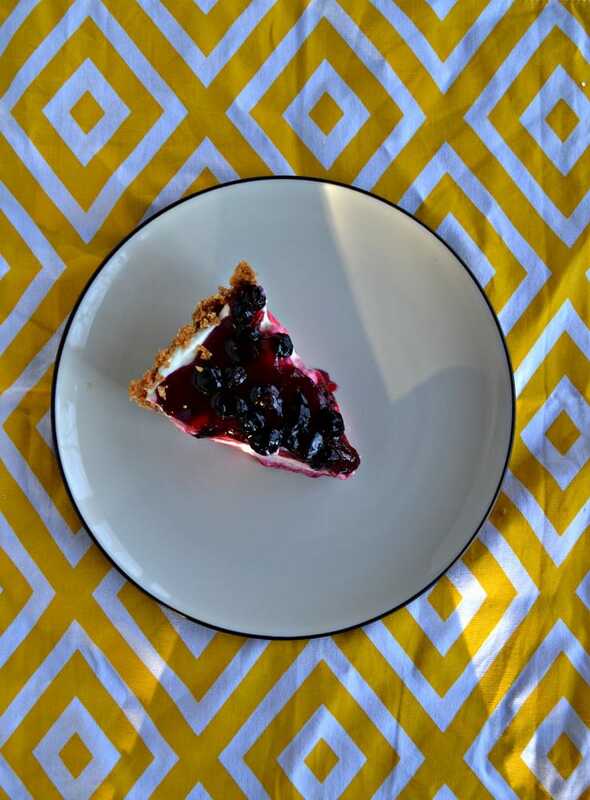 The combination of the tart lemon with the sweet blueberries is pure bliss. This is one of my favorite pies. Not only is it easy to make but it has such great flavors. I took it to work with me, after my husband and I each had a piece, and they ate it up. I don’t blame them, it’s a hard treat to resist! Happy Pie Day! 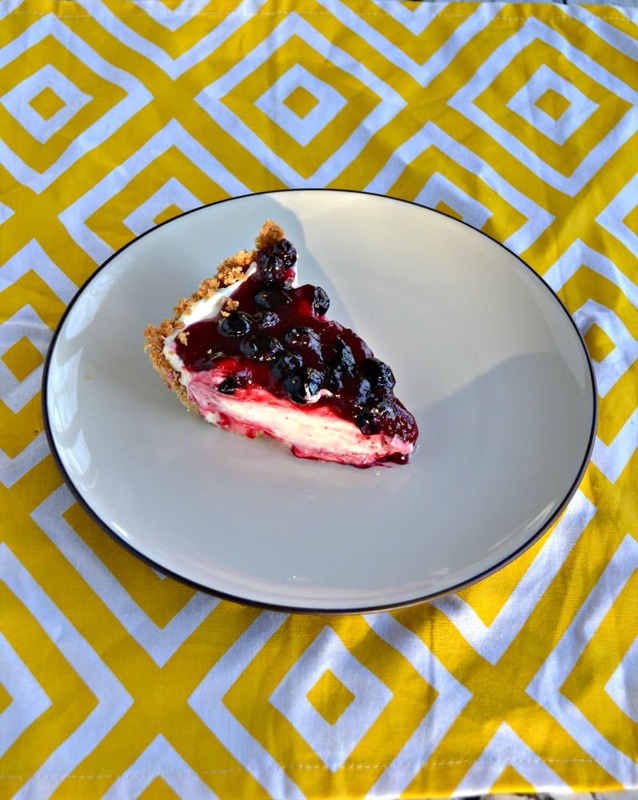 The whole family will enjoy this tasty lemon cream cheese pie set in a graham cracker crust and topped with homemade blueberry topping. Combine all ingredients for the crust in a food processor and process until it comes together. Press the crust mixture in a pie pan making sure to cover the sides and bottom. Bake for 10 minutes. Remove from oven and cool completely. Meanwhile, combine the blueberries, water, and sugar in a saucepan over medium high heat. Bring to a boil and stir in the cornstarch and lemon juice. Mix well. Boil the mixture for 5-7 minutes or until thickened. Remove from heat and cool. To make the filling place the heavy cream in a large bowl along with 3 tablespoons of the sugar. Beat with a mixer on medium high speed until stiff peaks form. Add in the cream cheese and beat with a mixer on medium speed until smooth. Add in the sugar, lemon zest, and lemon juice and mix until combined. 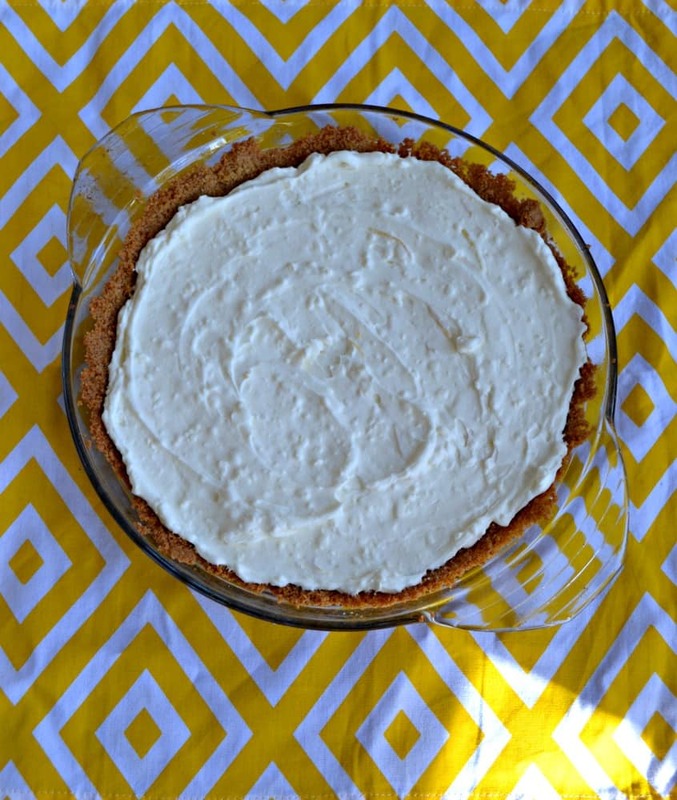 Pour the lemon cream cheese filling into the pie crust and smooth the top. Pour the cooled blueberry mixture over top of the lemon filling. Refrigerate the pie for at least 2 hours before serving. Toll House Cookie Pie for Pie Day!